Macanda’s testimony‚ like that of her director-general‚ Dondo Mogajane‚ who testified on Friday‚ is expected to centre around the environment at Treasury around the time former president Jacob Zuma axed Nhlanhla Nene as finance minister‚ in December 2015. Mogajane and his predecessor‚ Lungisa Fuzile‚ both described the days leading up to Zuma’s surprise cabinet reshuffle on December 9 of that year. They also detailed their engagements with Nene’s replacement and state capture-implicated Des van Rooyen‚ who spent four days in the position. Manyi‚ who purchased the Gupta family’s media assets through a vendor-financing deal last year‚ will appear before the commission for the second time this month. 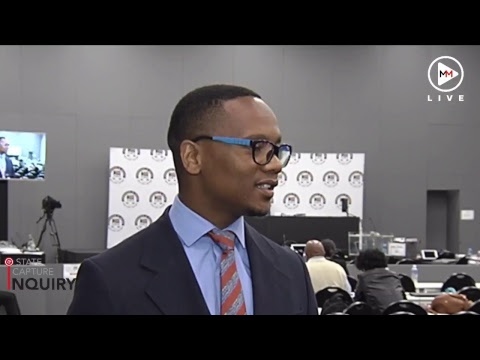 Last week‚ in a short testimony‚ Manyi took aim at acting Government Communication and Information System (GCIS) boss Phumla Williams‚ alleging that she oversaw the awarding of irregular contracts at the agency. His testimony was in response to Williams’ affidavit‚ in which she said that Manyi‚ who held her position between 2011 and 2012‚ instituted a number of changes‚ including dissolving the bid adjudication committee of which she was chairperson. Manyi may also be probed on his alleged role in former cabinet minister Mosebenzi Zwane’s bid to pressure South Africa’s “big four” banks to reconsider their decision to close accounts linked to the Gupta family’s business interests. Standard Bank’s Ian Sinton previously told the commission that he was summoned to Zwane’s inter-ministerial committee to account for the closure of the accounts. He said Manyi was present as an advisor.